Welcome to another highlight on our “Which Soap is Best?” series. Today we are talking about a couple of nature’s most diverse oils: Peppermint and Eucalyptus. Peppermint and Eucalyptus are both known for their invigorating scent but did you know that their strong scent has an expectorant effect? Both of these oils work well to open up congested airways and have even been used to help those with Cystic Fibrosis, and Asthma. During cold season we often resort to using Winter Breath in a hot steam shower to help open stuffy noses. Hot and tired after a work out? Peppermint and eucalyptus can help you cool down and also have a pain relieving effect on sore muscles and arthritis. Peppermint and eucalyptus can be used to treat bites, stings, and even poison ivy rashes! Their mild topical anesthetic property helps take the “bite” out of those burns, cuts and stings as well. Finally let’s talk germs and bugs. Eucalyptus and Peppermint have proven to be strong weapons against bacteria. What’s better? Bugs don’t like them either! Both oils have been used to treat everything from fleas and mosquitoes to lice! Before you start adding peppermint and eucalyptus to everything it should be noted that some reports indicate that these oils should be avoided during pregnancy. Some people with sensitive skin can also find the “cooling” or “tingling” effect of these oils to be too strong and cause discomfort. Girls Day Out Soap is my favorite “I don’t want to get out of bed” morning fix. 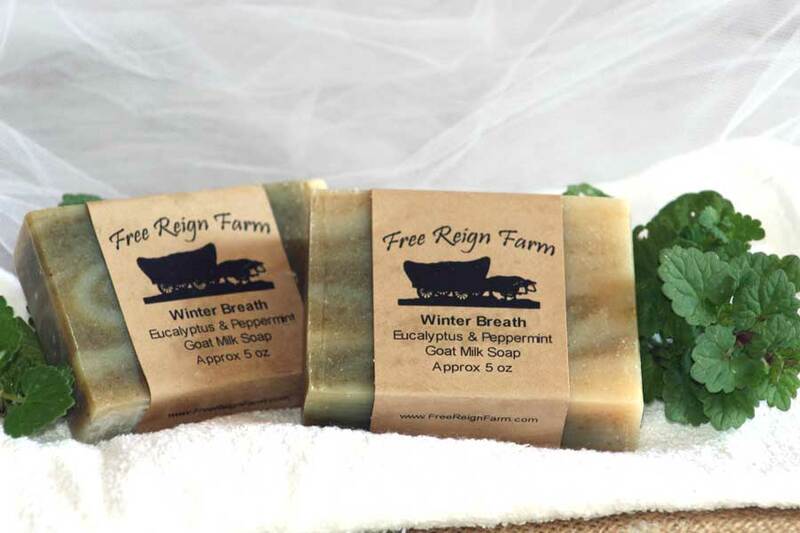 Winter Breath contains both eucalyptus and peppermint. 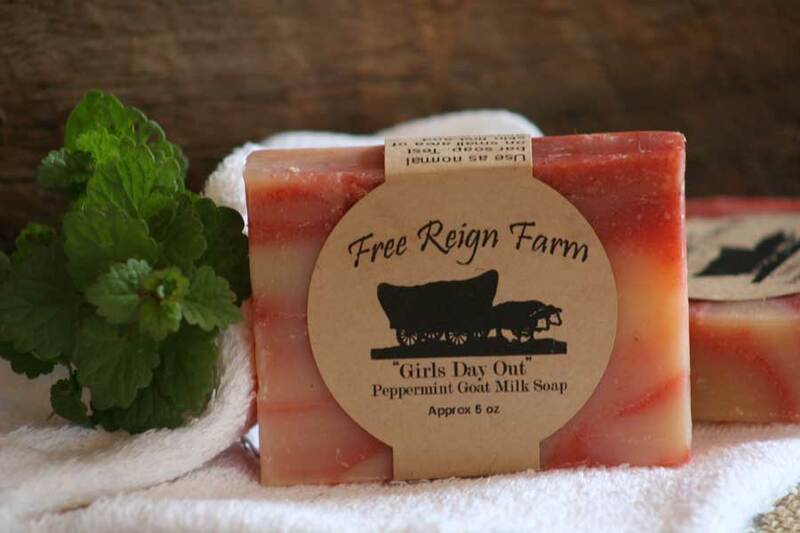 We’ve used this soap for its strong vapors to clear stuffy noses and to cool off after a hot day on the farm. Tail Off Lotion contains both of these oils and they add some serious pain killing power to the mix! Pick-Your-Scent Lotion is available in eucalyptus and works great as a vapor rub or fresh scented lotion! Fix-It Herbal Salve contains eucalyptus to help calm the sting of those bites, burns, and scrapes while treating them with a healthy dose of antiseptic properties. Natural Peppermint Balm comes in invigorating peppermint-for those who enjoy the tingle! DISCLAIMER: None of these statements are evaluated by the FDA. Not intended to treat, cure or diagnose any disease or illness.